Hey, just because it’s Canada doesn’t mean that it’s not six trillion kinds of exciting. So how about 50 kinds of exciting, for starters? 1. Take a sail on a tall ship. 2. Have a Freshly Baked Wafer Basket Sundae at Dutch Dreams Ice Cream . 3. Trace the movement of a musical composition – Bach’s Suite No. 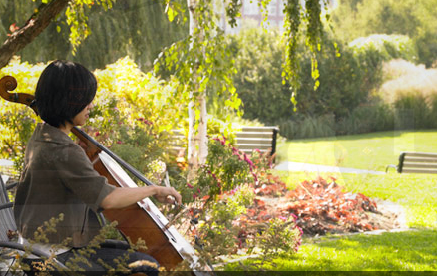 1 for Unaccompanied Cello, to be specific – with your feet at the Music Garden. 4. Take the passenger ferry over to the Island Airport and watch the planes fly in right over your head and land on a landing strip that’s only a little bit bigger that your local soccer field. 5. Ride a replica hot air balloon at Ontario Place. 6. Or if you’re afraid of heights, stick closer to the ground with some lakeside mini-golf. 7. Go swimming lakeside at the Gus Ryder Pool in Sunnyside Park, then have some salt-and-vinegar drenched fries at the Sunnyside Cafe. If you sit on the steps of the Pavilion and squint, you can almost imagine that you’re a Jazz-era family hitting the park for a day of bathing, Gatsby-style. 8. Pet the cows at Riverdale Farm. 10. 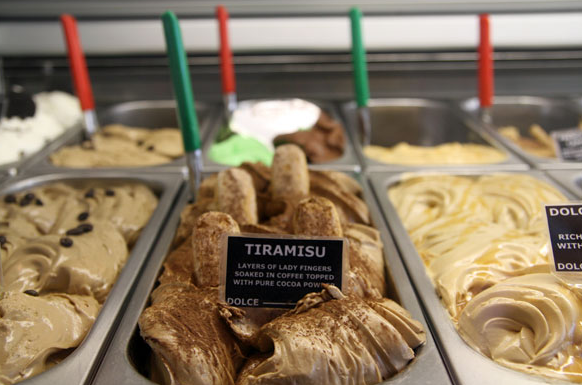 … and then head down the street for some gelato at Dolce Gelato. Try the Tiramisu. 11. Spend a hot afternoon in the shade at Dufferin Grove Park. In the summer, there’s a kiosk selling hot dogs and cookies and coffee set up right alongside the waterpark and playground. If you go on a Thursday, you’ll find one of the city’s best farmer’s markets set up just a few feet away. 12. Wander the paths of Mount Pleasant Cemetery. See if you can find Glenn Gould‘s gravesite. 13. Take the ferry from the downtown waterfront to Centre Island, where you can ride a giant swan at Centreville or pet the ponies at Far Enough Farm. 15. … before renting some bicycles built for two and exploring the islands by wheel. 16. Go to a Blue Jays game. Eat lots of hot dogs. 17. Yes, it’s cliched, but you really must visit the CN Tower. Go on a weekday morning to avoid the tourists. Try to time your visit to coincide with a clear-skies forecast, and don’t forget to test your courage on the glass floor. 18. Rent some bicycles and ride out Leslie Spit. Take a camera to take advantage of the awesome city skyline view, and so that you can prove to your birdwatching friends that you really did see that northern saw-whet owl. 19. Visit Mr Dressup’s Treehouse in the lobby of CBC Studios . Explain to your kids that once upon a time, there were kids shows that didn’t involve grown-ups dressing up as Wiggles or big purple dinosaurs, and that they were awesome. 21. Find the Adventure Playground at High Park. It was designed entirely by children, and the multiple hiding places in the giant wooden castles prove it. 22. 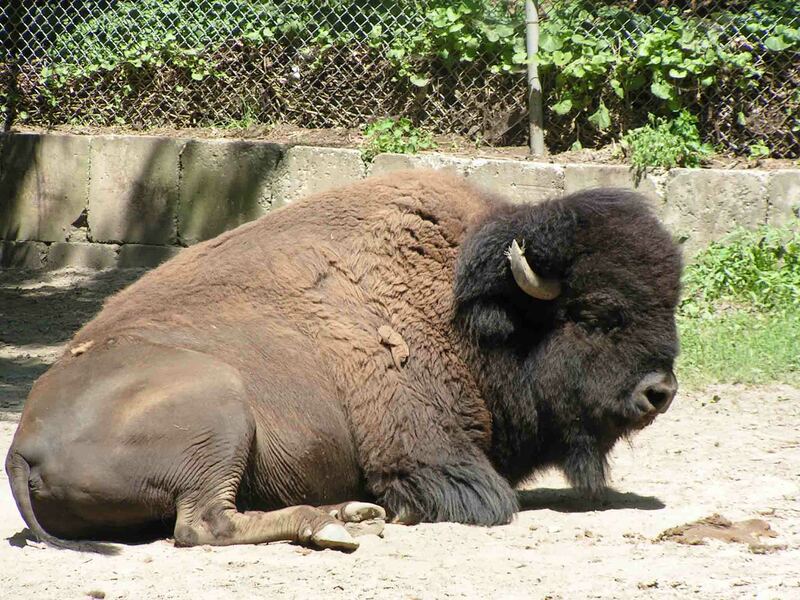 Go visit the buffalo at the High Park Zoo. And debate whether the capybara looks more like a giant groundhog or a Rodent Of Unusual Size. 23. Have teeny-tiny hot dogs at Buddha Dog. 24. Go fishing on Grenadier Pond. 25. Explore the Butterfly Habitat at Humber Bay Park. 26. Book a riding lesson at Sunnybrook Stables and pretend that you’re landed gentry enjoying your horses on your vast country estate – without ever leaving the city. 27. 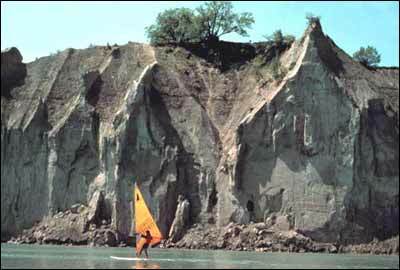 Visit Bluffers Park and have a picnic beneath the Scarborough Bluffs. 28. Go ice-skating at the edge of one of the biggest lakes in the world. 29. See the Nutcracker (or Swan Lake, or Cinderella, or whatever tutu-filled spectacle strikes your fancy) as performed by one of the world’s premier ballet companies. Matinee performances are usually full of tiny ballerinas, so go ahead and bring the kids. 30. Feed the koi in the pond at the Don Mills Brick Works. Go on a Saturday and enjoy the farmers’ market. If you’re lucky, the chefs from Lee will have their kiosk set up and you can sample world-class appetizers at farmers’ prices. Wash it all down with some fresh-squeezed organic lemonade and then explore the trails behind the Brick Works. Be sure to wear walking shoes; some of those hills are steep. 31. Crook your pinkies while taking Royal Afternoon Tea at the King Edward Hotel. Two words: cucumber sandwiches. 32. Stroll through Little India (the largest Indian market in North America) and shop for sweets – try the burfi if you like fudge, jalebi if you like syrup-soaked cookies. Or just try both. 33. Do an archaeological dig at the Royal Ontario Museum. When you’re done, take a stroll through the bat cave <> and ask yourselves which are scarier: bats or mummies? 34. 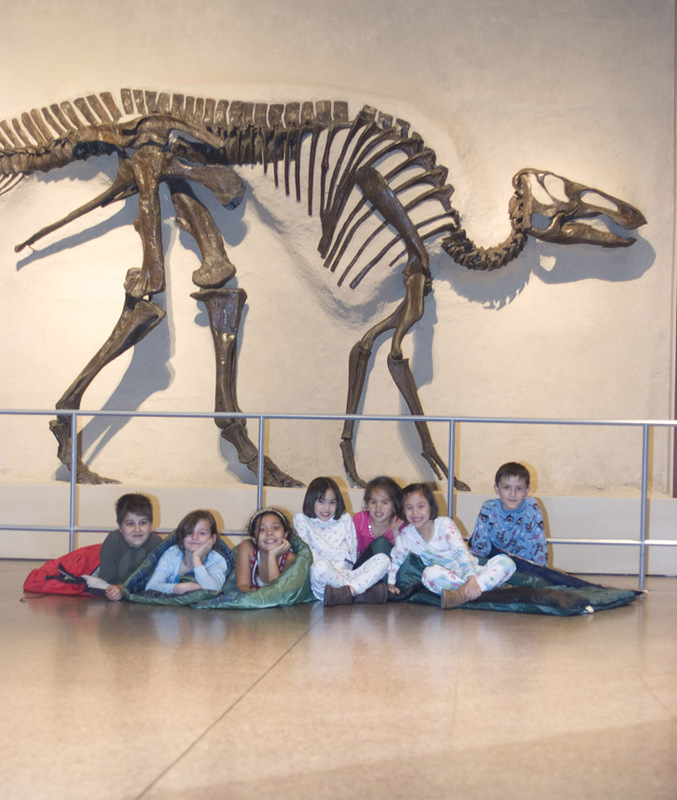 If you answered dinosaurs, test your courage by spending the night in the dinosaur gallery. Spookiest sleepover ever! 35. Check out how small Marilyn Monroe’s feet really were at the Bata Shoe Museum. 36. Casa Loma is a real castle, right in central Toronto, and little knights and ladies will love exploring it. 37. 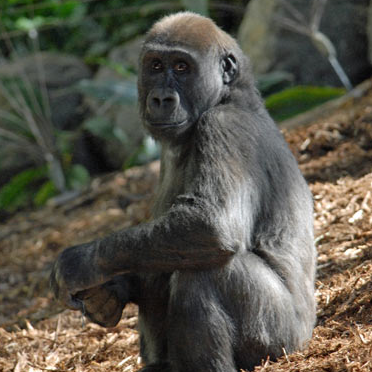 Celebrate the Year of the Gorilla by visiting the award-winning Gorilla Rainforest at the Toronto Zoo. 38. But because you’re in Canada, make the trek across the park to the Canadian Domain and say hello to the Grizzly bear . Take bets on whether it’s bigger than the gorilla, and then ask a zookeeper for the answer. Winner gets a Beavertail. 39. Take aspiring astronomers to see the David Dunlop Observatory, one the biggest telescopes in the world. 40. It’s kind of a law in Canada that you have to like hockey. Fake it if you have to at the Hockey Hall of Fame – the aspiring Wayne Gretzky in your brood will owe you for life. 41. Hit a Bunch Family Dance Party and teach your kids some moves. 43. Go hunting for vintage polyester children’s rompers and obscure North African spices in Kensington Market. Go on a Sunday when the area is closed to vehicles and roam the streets like the hippies you’ll imagine yourselves to be. 44. Eat Ethiopian food with your fingers at the famous Queen of Sheba restaurant in the Queen West gallery district. 45. Stand in the middle of historic Union Station and pretend that you’re about to hop a train and cross the country. 46. Or, if you have a free day, hop a Via Rail train to Cobourg and visit spectacular Cobourg beach and then get home in time for a late dinner. 47. And if you only a have an afternoon, catch the Go Train to Oakville and see how fancy suburban shops can be when they occupy prime lakefront real estate. 49. 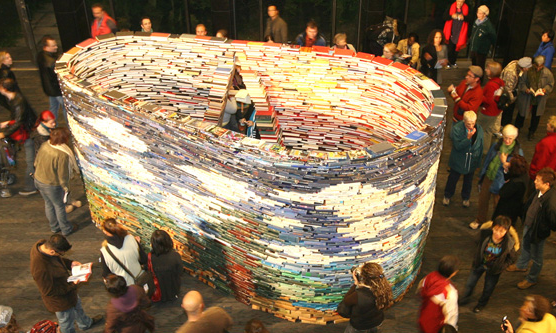 Stay up all night – or as late as you can – for Nuit Blanche. Yes, with the kids. It’s not as though anybody sleeps through the night at home, anyway. Might as well get some fun out of it. 50. Ride the roller coaster and eat corn dogs at the Canadian National Exhibition. 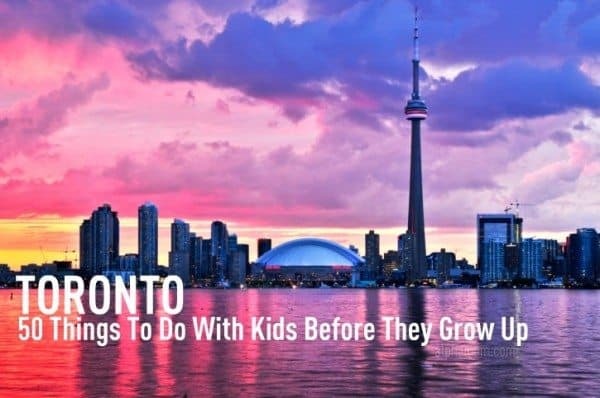 Great list – will come in handy on future trips to TO with the kids! cool list – think i’ll be checking some of these out this summer, tbanks! Love the list! We’ll definitely be doing some of the stuff on this list. Yes, go see the grizzly bear and be saddened by the continuous pacing she? does. The lynx also shows signs of distress by continuously pacing back and forth. The David Dunlop Observatory (#39) was sold and closed in 2008.